However, only very general qualitative synopsis on the cumulative habitat loss and vessel traffic resulting from the various projects was provided in the EIA report. Such a cumulative impact assessment should be done in a quantitative manner, such as using comprehensive habitat modelling or population viability analysis to contemplate the cumulative ecological impacts on the HK CWDs. 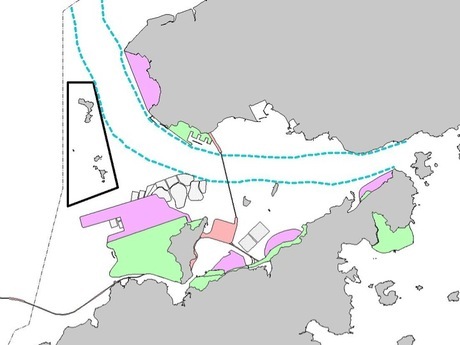 However, among the three reclamation proposals in North Lantau waters that are under the “Enhancing Land Supply Strategy” by CEDD, only the ones at Siu Ho Wan (i.e. Lantau Logistics Park) and Sunny Bay were assessed, while the largest reclamation of the three at Lung Kwu Tan (involving 200-300 hectares of reclamation) has been left out in the cumulative impact assessment. This project will potentially affect the function of the new marine park proposed in the present EIA study due to its proximity (i.e. less than a few kilometers). Moreover, the on-going maintenance dredging works of the Tonggu Waterway as well as the reclamation of artificial islands constructed for the Hong Kong-Zhuhai-Macau Bridge adjacent to the western boundary of Hong Kong were also left out as an existing development, and should be included in the cumulative impact assessment according to the TM requirement. According to the latest research, there is clear evidence that the habitat loss and disruption of the traveling corridor resulting from HKBCF reclamation have seriously affected dolphin usage of Northeast Lantau waters. The additional cumulative loss of habitat due to the 3RS reclamation was not assessed with consideration of this latest information from this adjacent project. Such assessment will also have serious implications on the future viability of the BMP, which will be established in 2016, the same year in which the 3RS project will commence.